The Praecius Table. Upcycling of Reclaimed Materials. 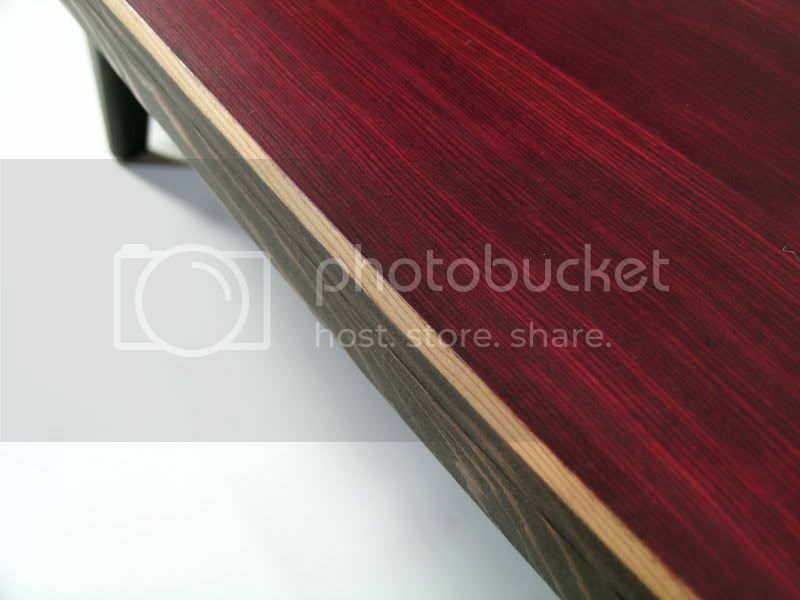 The Praecius table is based on precise design by strictly conforming to natural pattern. 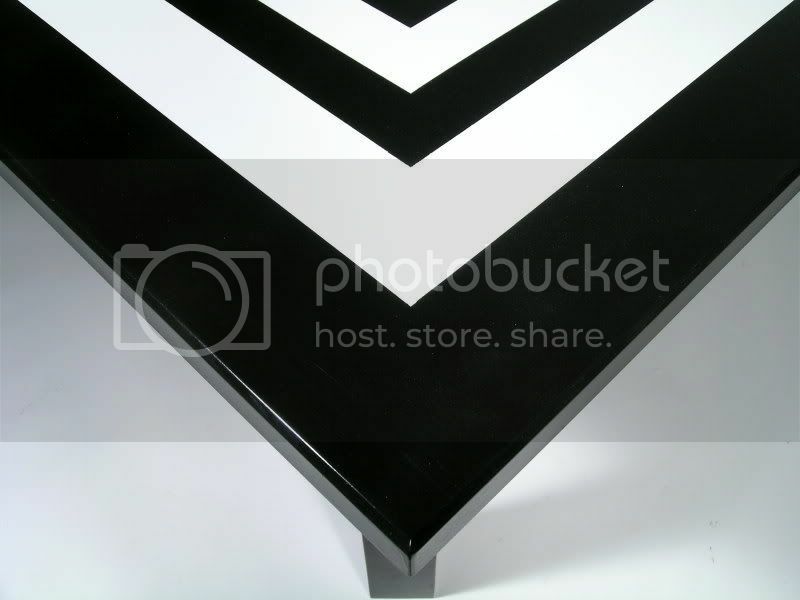 The set of concentric black and white squares conform to a 1.0 Fibonacci series found in nature like the petal structure of flowers and the spirals of galaxies. This natural balance is relaxing and pleasing to the eye. Matching conference, dining and end tables available. 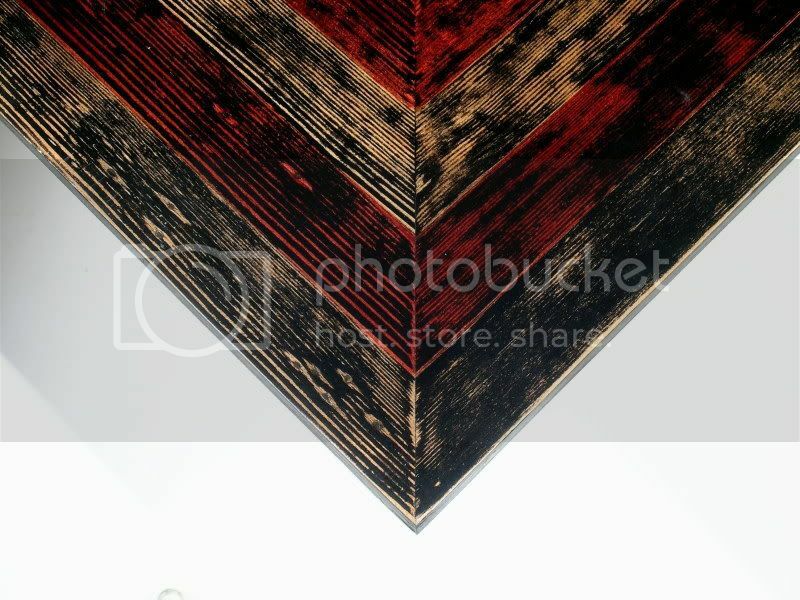 Materials : Reclaimed and upcycled wood. Repurposed composite materials. Black, white and clear lacquer. 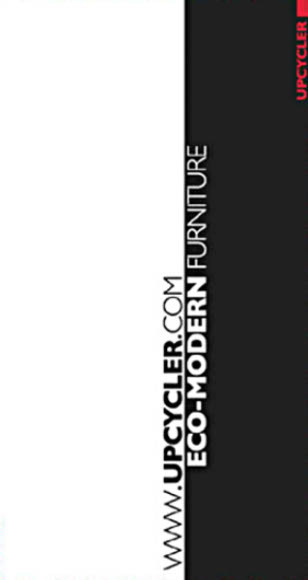 Design comments : To demonstrate the use of reclaimed modern composite wood materials, the Praecius table design uses a reclaimed solid core composite wood Masonite door for the top and a reclaimed wood table base from well made reclaimed consumer furniture. As a note to other designers, I recommend sourcing used furniture for its component parts such as legs and bases and design up from there. Newly constructed legs and bases take time to design and use additional resources to fabricate. An alternative view and reclaimed steel base. Within all my designs the emphasis is on the details to enhance the natural beauty of all materials. 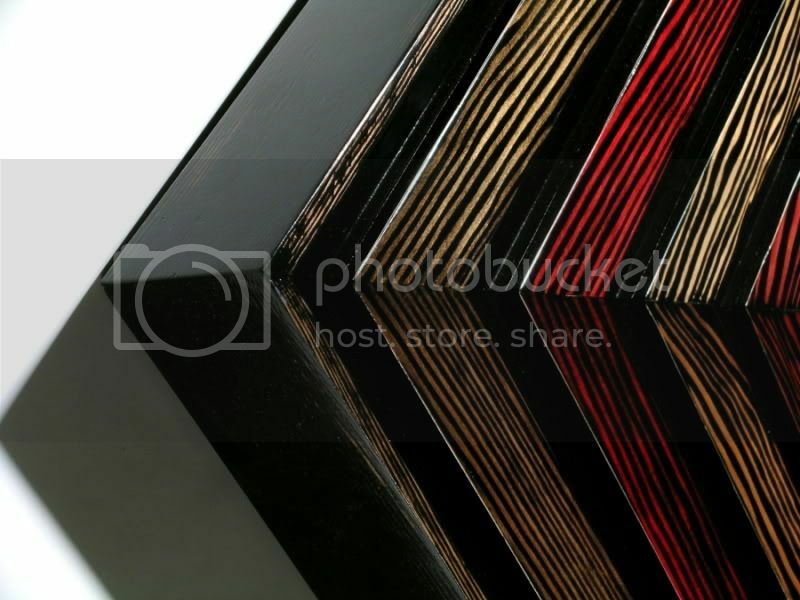 Rich and unique, deep and translucent finishes are the essential quality of these works of furniture and functional eco-art and wall sculpture. Designs that honor the past of these reclaimed wood materials harvested generations ago by creating new stimulating objects to value. A visual statement on new possibilities and opportunity from what should never have been discarded. Explore this site further to see the corresponding works. 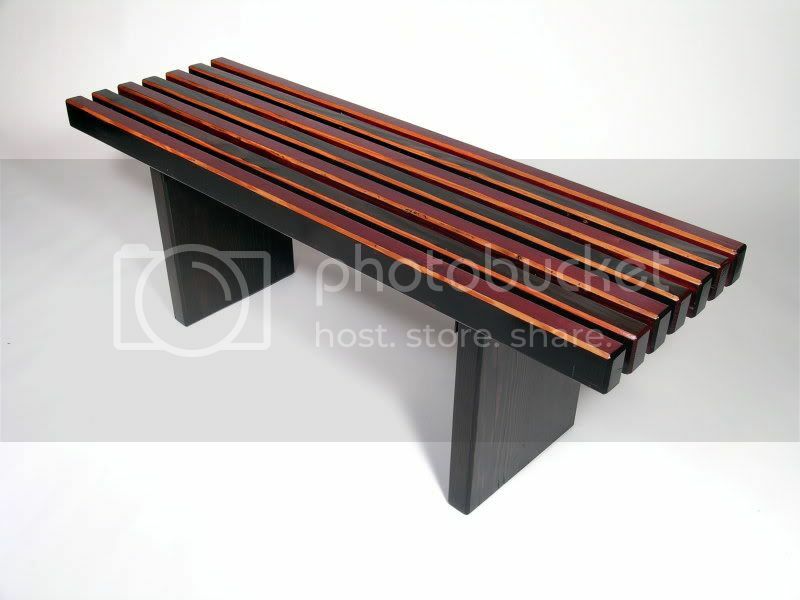 Two slat platform designs that are multi-functional as a bench or table. These designs are scalable up to 12 feet in length. Over 6 feet a third center leg base is added. 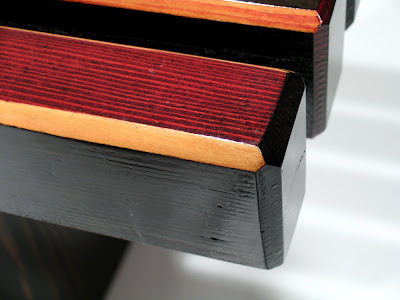 Translucent red and dark umber+black finish shown. All black or natural available. 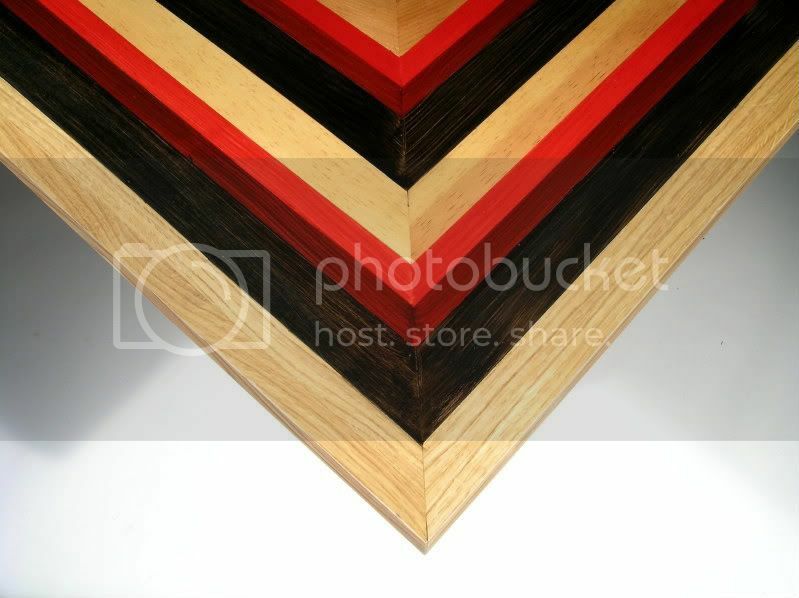 Originally designed for museum gallery seating or modern interiors. 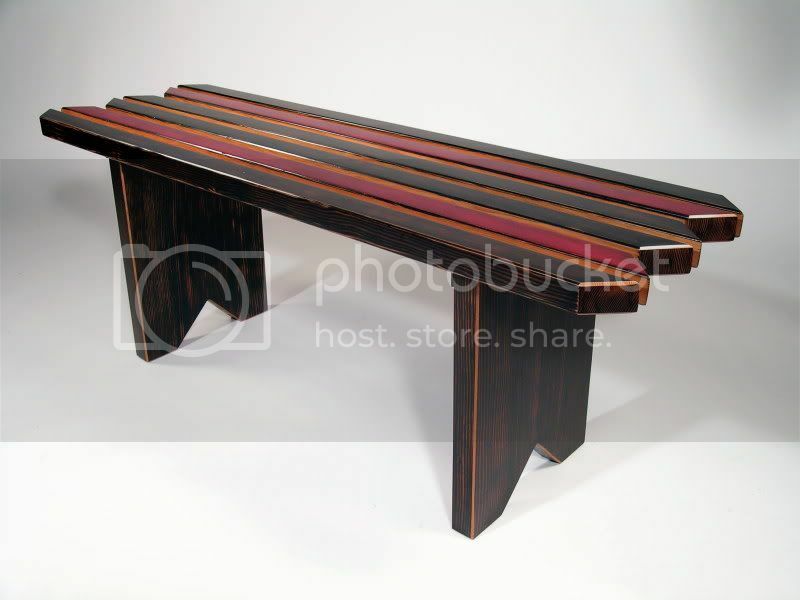 Materials : Reclaimed and upcycled old growth wood and recycled steel. 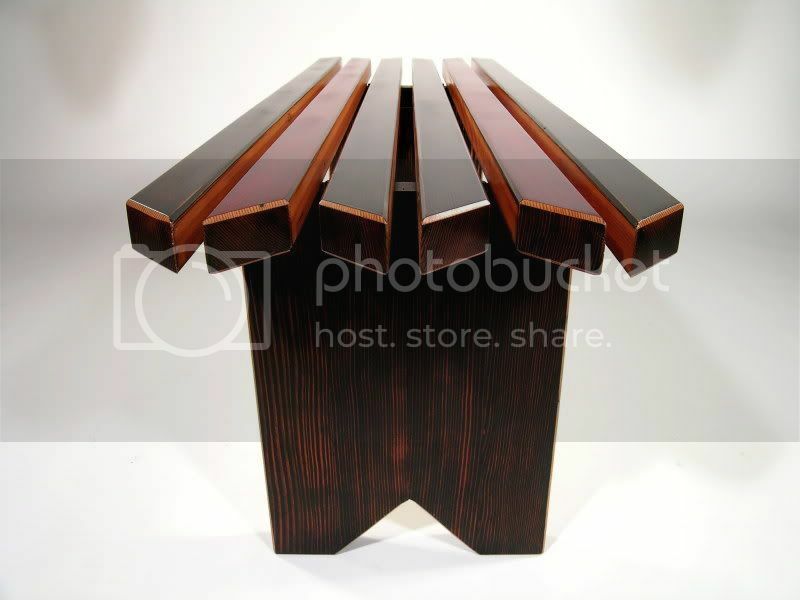 Dimensions : 48"(l) x 15"(w) x 18"(high). The "Industria" 45 degree bench. The "Humanitat" 90 degree bench. 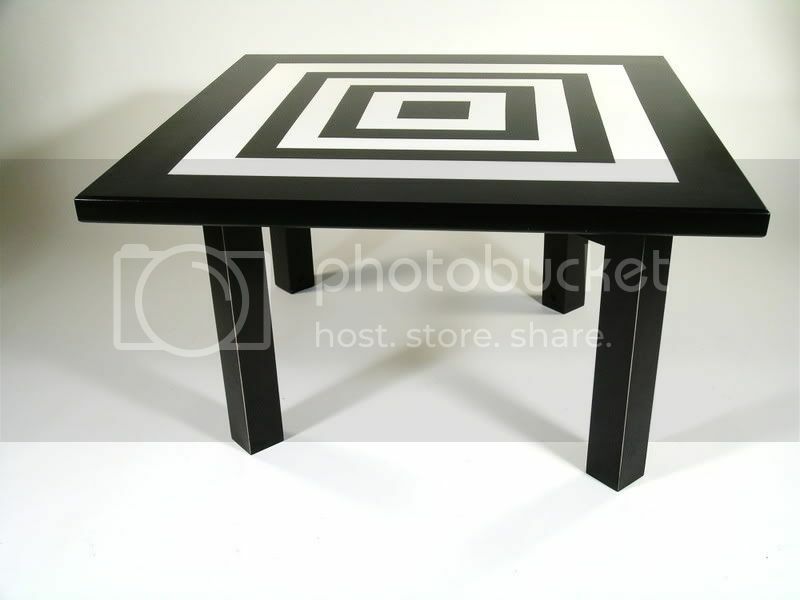 A tall coffee table with thicker design elements shown. 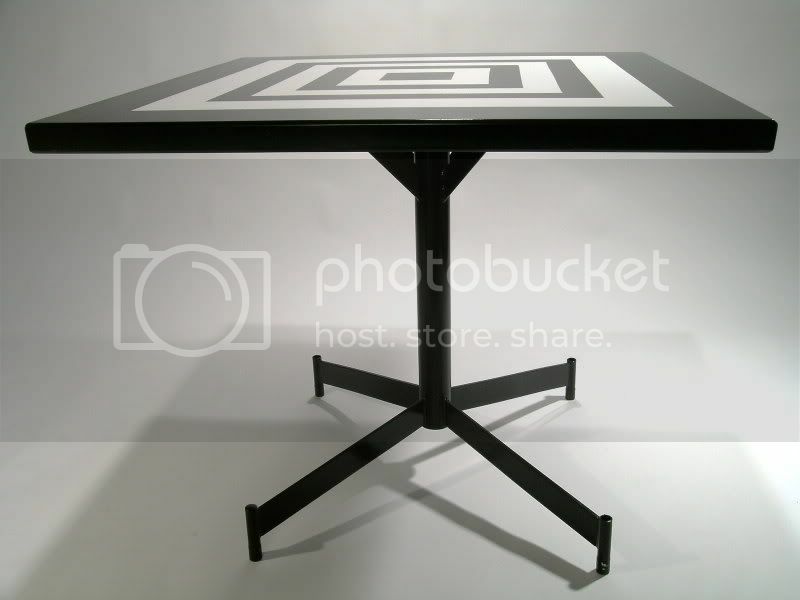 Scalable up to conference table size. 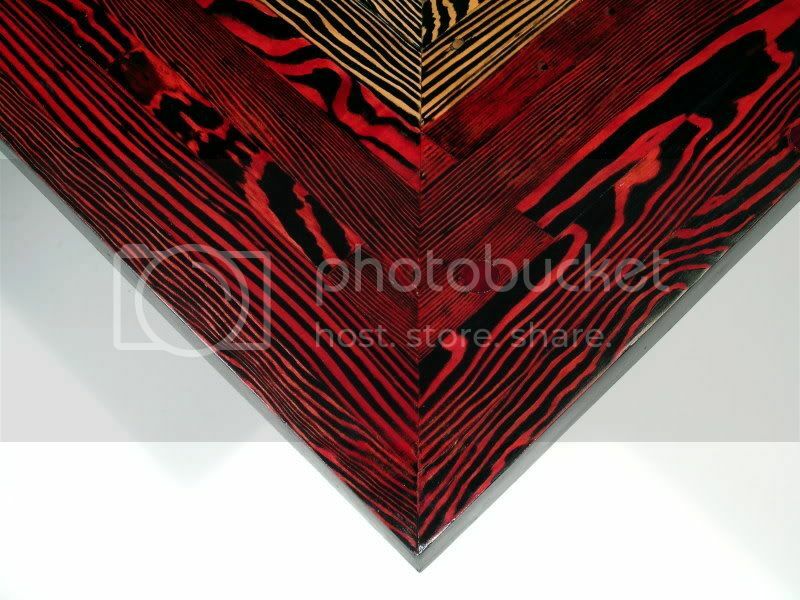 The concentric color design unifies red and black, flowing with the natural wood grain. 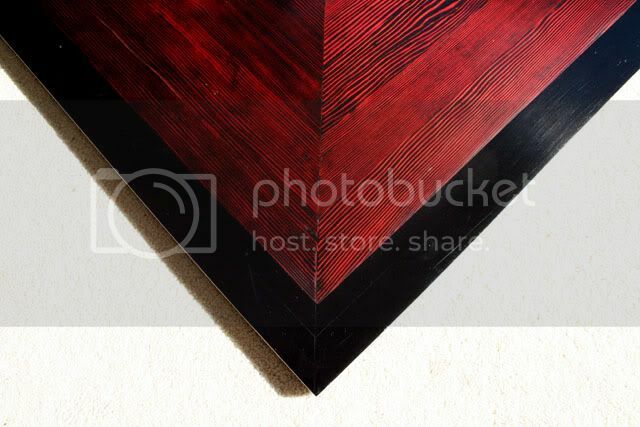 Transparent color and stain on wood. Varnish. 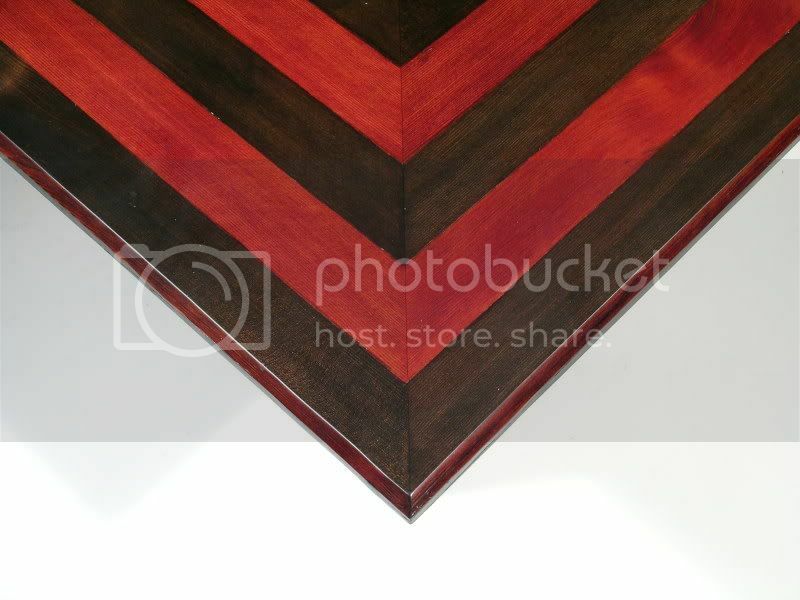 Materials : Reclaimed and upcycled old growth American heart pine. Oak edge banding. Dimensions : 22.5 x 56 x 1.5 in.thick x 18.5 in. high. Design comments : Working with reclaimed wood and eliminating waste means considering the original dimensions of the raw materials and how they will be scaled into the finished design. The materials for this table are thicker so instead of cutting the materials down to fit a preconceived notion of element design, the robust elements are preserved.